A lovely sunny but cold day saw reasonable passenger loadings on Iris, certainly for the first two returns. The Buffet also reported their busiest day of the season so far with them also benefitting from passing trade as well as passengers. The image of an oasis in a desert springs to mind! 55006 received more cleaning to the lino before the recently reupholstered seats are reinstalled and our final pair of drivers were converted on to the Class 25 ahead of the season. A cold but dry day down at Derbyshire's favourite branch line saw reasonable passenger numbers on our Wirksworth to Duffield service. The main task of the day was the dismantling of the miniature railway ready for its move along side road one at Wash green. (Photos attached). Full marks to the team of John E, Owen, Ben, Rob and John S who's drive and enthusiasm ensured a first class job. Down the yard the DMU Fitters set about a number of maintenance tasks on Breeze and Iris. Mark Fowler and the class 25 team were in attendance replacing batteries and commencing 'T cutting' the locomotive panels which looked resplendent in the spring sunshine. The 8F and LMSCA were also in attendance working on their respective projects. Today's drama involved a mis-behaving AWS isolation valve on the class 101 which was expertly dealt with by our quick fix fitters ensuring minimal disruption to our schedule. Finally, the team planning the 150th Ecclesbourne Railway Anniversary celebrations met for the first time and enthused suggestions for what should be an exciting 2017. Watch this space! Very cold today but not raining so wehey. 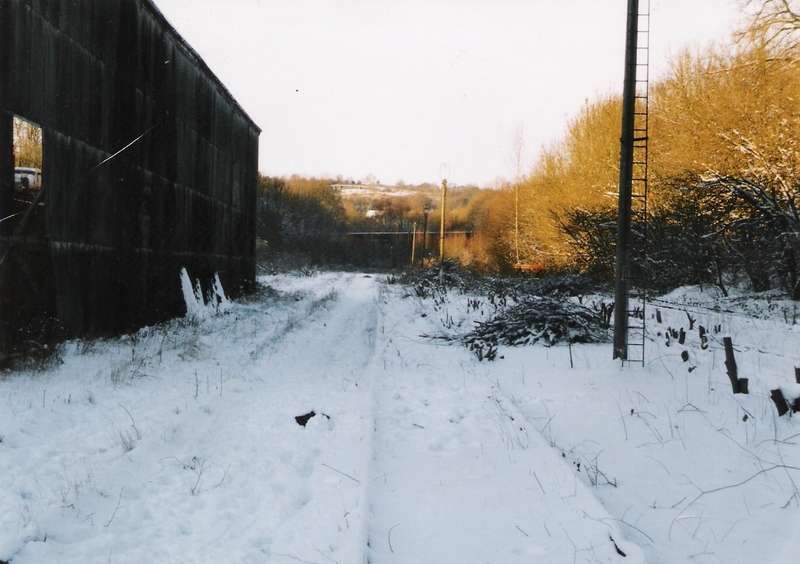 This enabled the PW team to get the new Idridgehay crossing gates down to Idridgehay. There's still a fair bit of work to do to modify the posts and transfer all of the components across before they can be commissioned for use though, with Fridays being their main day for this project. 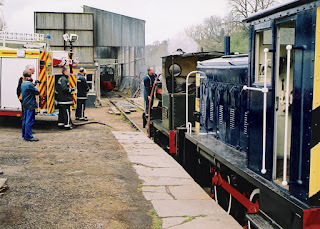 Work continued on the BSK in the shed, whilst the repaint of No.3 continued in the steam facility. Quite a lengthy but productive meeting was held with the Santa team. Yes, you heard it, the Santa team, to analyse the Santa season recently passed and look at what can be altered and improved for the one this year. Some good suggestions came about and the meeting was generally positive. Rodney took advantage of the dry weather to undercoat the poster board at Duffield which has been in primer for ages. Some of you may have seen in our programme for this season an unusual special called "Pip and the Great Teddy Bear Rescue". Details of this are now online at www.e-v-r.com/pip and booking can be done through the website for it. Broken Pipe Productions are coming in to put on the children's show (the same people who did a fantastic job of last season's Murder Mystery evening) and the trip includes food at Duffield too. Without giving too much away, there's a mystery to solve with fun activities for the kids to get involved with. Three more photos from the past. 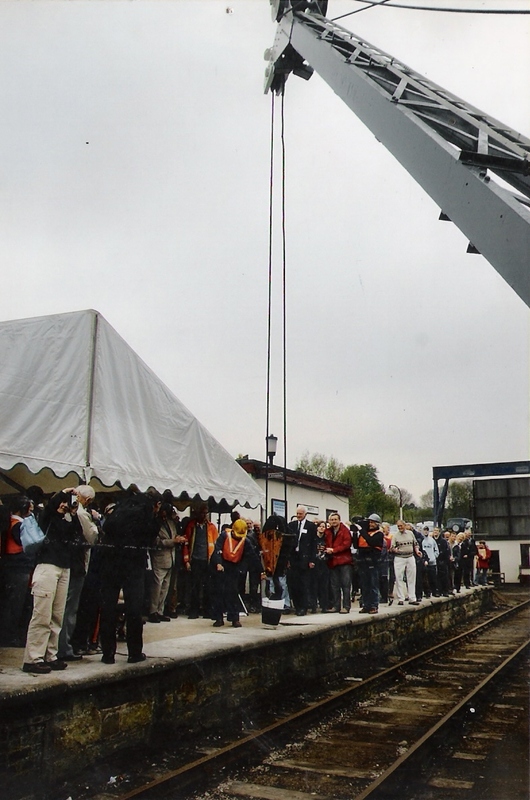 The crane is delivering a "mock" cheque to Network Rail as payment for the line with Lady Hilton officiating. 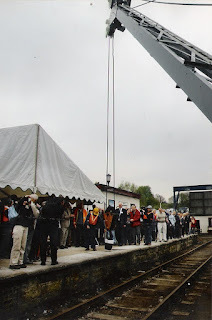 It seemed a good idea at the time but the bucket containing the cheque on the hook of the crane nearly did for Winifred! 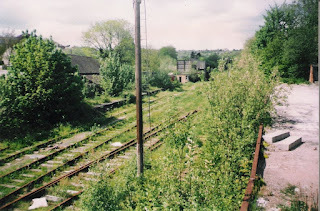 A video of Sheffield Supertram is attached from more modern times. A beautifully sunny winters day enabled the PW team to continue working down the line. They have now completed maintenance on around 1/4 mile south of Hazelwood by spot resleepering and ballasting as necessary. This is followed by fishplate greasing too. Packing as required to follow. The DMU team had a look at a defective heater on 55006, which turned out to be fuel starvation so that was a simple fix. They then washed the outside green two car ready for the weekend. Derek continued the paneling for the inside of the BSK. The Commercial Dept looked at Teddy Bears Day and started planning for the DMU Gala too, inbetween serving random customers making purchases in the gift shop. 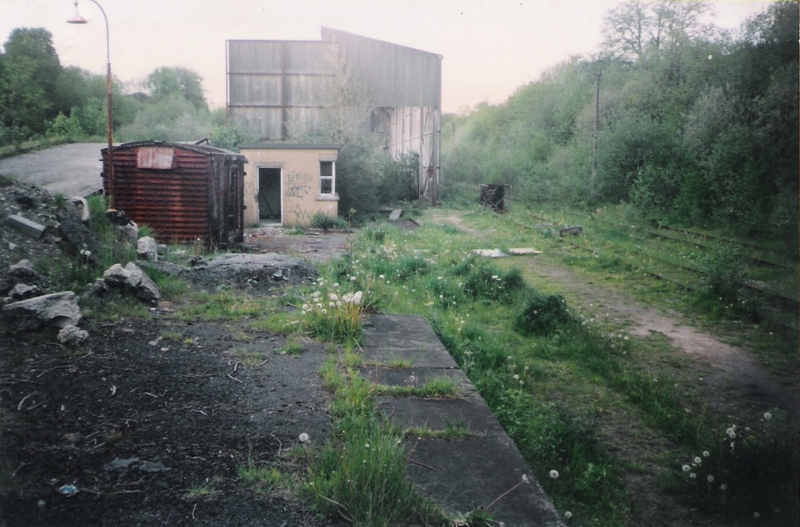 A couple of photos of Wirksworth Station before our grand project started which warms the heart y emphasising how far we have progressed. 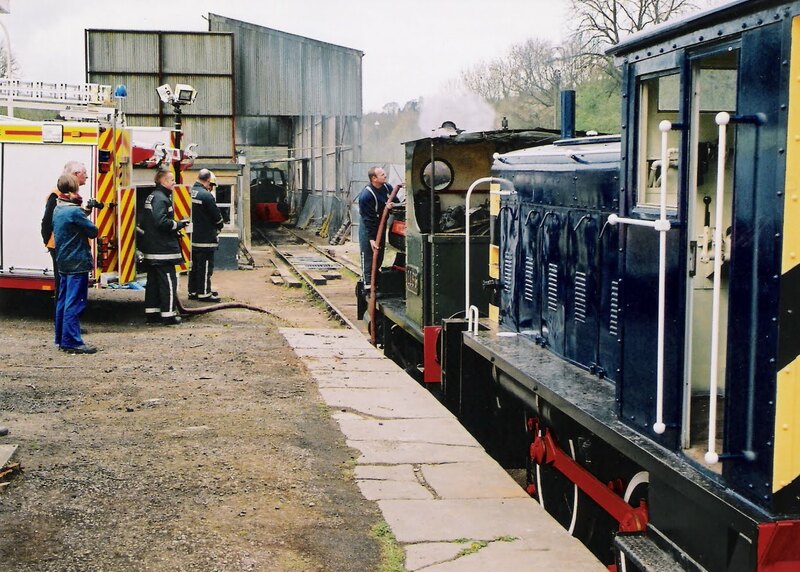 The third photo is of the Wirksworth Fire Brigade watering our first visiting steam loco "Whitehead" with Faraday for company. 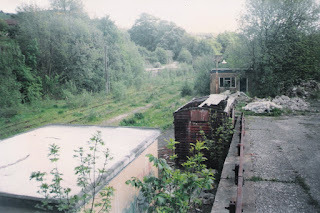 Today's video short is a brief look at Sheffield Midland and Meadowhall stations - can't wait for the first Pacer from Wirksworth to Duffield! Iris pottered up and down with the train service today with the Booking Office's and Buffet in full swing too. Down the yard, work continued with welding on the BSK and painting of the seat frames on 55006 so that newly reupholstered seats can be reinstalled. Rob sorted out the 108 after yesterday's wobble also. Rodney cleared out the mess room area of the cabin at Duffield so that it is available for use by crews if they so wish. 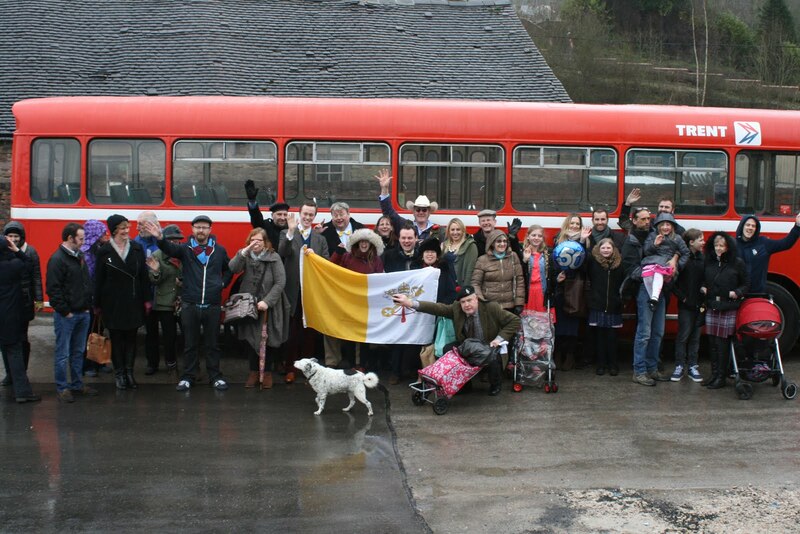 A rather unruly group travelled on the 1212 Duffield to Wirksworth service and journeyed on by omnibus. Many happy returns to Rupert who reaches a significant age on Monday. Some of you may find the attached video of interest as it shows what you do to install temporary point work to facilitate single line working. The domain name of the email address is not valid. If necessary, contact your recipient another way (e.g., phone or text message) to confirm their email address. Find out more information about this bounce message. Advertisement | Prefer no ads? BetterBounces.net works on behalf of various Internet properties to give you better information about why your email wasn't delivered. You can learn more about us here.